← It’s Time To Make Our New Moon Wishes! Today we celebrate the Pisces New Moon! 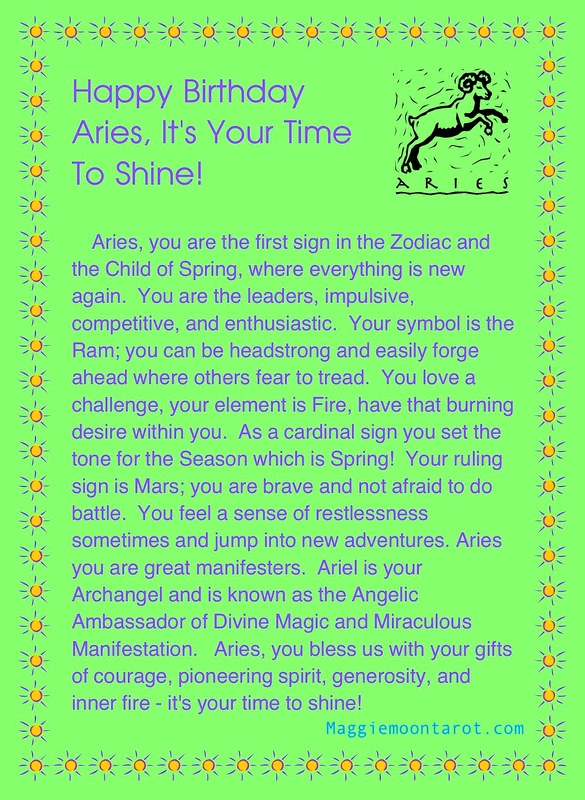 This entry was posted in Aries and tagged Adventurous, Angelic Ambassador of Divine Manifestation, Archangel Ariel, Ariel, Aries, Brave, Child of Spring, Happy Birthday Aries, It's Your Time To Shine, Maggie Lukowski, Maggie Moon Tarot, Spring. Bookmark the permalink.